Physicians recommend cortisone shots to treat a number of conditions. Injectable cortisone is a synthetic product that mimics the natural steroid produced by the body's adrenal glands. One surprising side effect of cortisone injections is insomnia. The adrenal glands release cortisol when the body is under stress, and cortisone is a byproduct of this stress hormone. It reduces inflammation and helps the body with freedom of movement. The steroid lasts only a short time in the body as it is released into the bloodstream and travels to the location of the inflammation. A doctor injects synthetic cortisone directly into the area of the inflammation to reduce the swelling and inflammation. By doing so, the injection helps to relieve the pain you feel. A physician or other licensed medical provider must administer the shot, and they may repeat the treatment as needed. An injection may be painful, particularly when directed into a joint. The size of the needle and the amount of cortisone can also influence the pain at the injection site. For painful areas, a doctor is likely to also administer a local anesthetic to ease the pain while the cortisone goes to work relieving the inflammation at the site. Cortisone injected into local areas such as hip and shoulder are usually well-tolerated and are less likely than other types of steroid medications to produce serious side effects. Insomnia is, however, one of the potential side effects that can be experienced with the injection. Cortisone levels generally decrease rapidly in the evening to a minimal level right before bedtime. A cortisol injection, especially one given later in the day, can unintentionally keep your body awake and your mind stimulated by stimulating your adrenal glands and keeping your body in a state of fight or flight. There are some things you can do to mitigate the risk of insomnia or counteract its effects after a cortisone injection. Get your shot earlier in the day. Establish a regular bedtime routine to prepare your body for sleep. Ensure your bedroom is cool, dark, and free of noise to create an environment conducive to sleep. Learn relaxation exercise to help ease the day's tension and if insomnia is an issue after an injection, try a progressive relaxation exercise. If insomnia persists and you believe it is related to your injection, talk to your doctor. Although rare, some people may experience other adverse reactions to cortisone injections such as pain or irritation at the site. Some people have experienced an allergic reaction to a cortisone injection. Speak with your provider about the side effects you're experiencing. She may be able to provide you with other options. You should always notify the physician of adverse side effects you're experiencing, including insomnia. 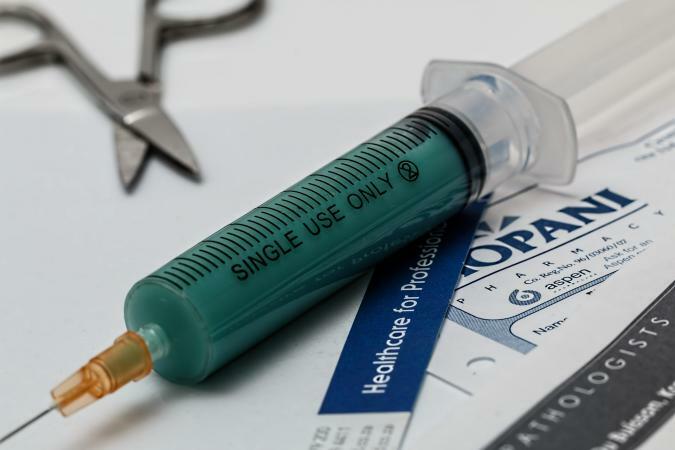 Often, healthcare providers will limit the number of cortisone injections to three or four a year because of the associated risks and side effects. Speak with your provider about how often you should have these injections. If you must have cortisone injections to treat a health condition and you experience insomnia as a result, you should consult with your physician about the type of cortisone used and whether you might change brands. This might ultimately help you have a full and restful night sleep.